Individuals who dared to do the impossible have achieved a lot! It took a heart of faith and courage to go where no man ventured. 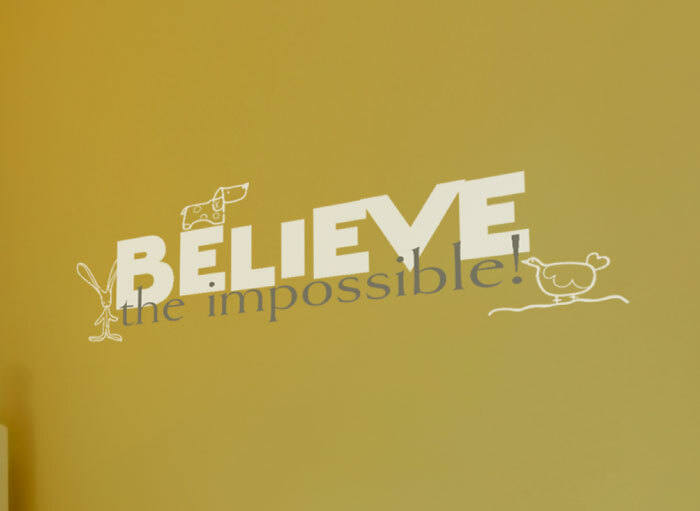 This is what God wants for us: to believe Him because nothing is too difficult for Him! Walt Disney must have known the possibilities available when we reach for the stars! At WiseDecor, Walt Disney wall words are available as wall decor. 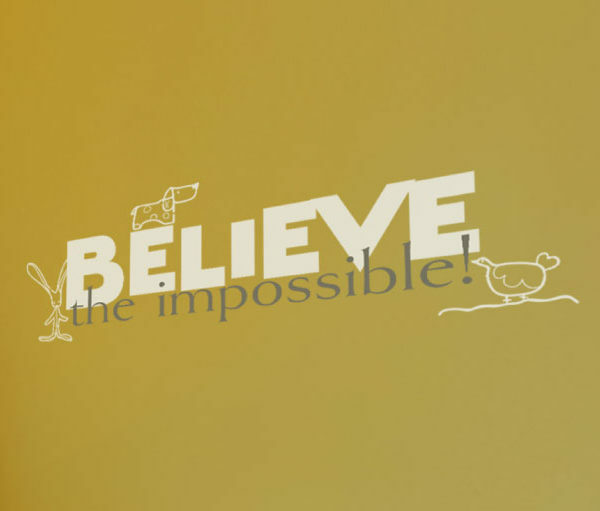 “Believe the impossible! – Walt Disney” are it and they look great in this kid’s bedroom. What a lovely way to decorate and inspire the next generation at the same time! They look right at home on the wall above bed. The colors on the wall lettering tie in with the duvets, stuffed toys on the beds and the blue blinds on the windows. Kids will not only enjoy spending time in this kid friendly room but they will also be encouraged on a daily basis to nurture their God given dreams! Are you looking for unique and inspiring wall decor for your kid’s room? Try WiseDecor wall quotes. Have a look at our ‘by room’ category for a great selection of wall quotes that your kids will love! Place your order on our user-friendly web site. Use the previewer to confirm that you have selected the right size, style and color for your wall space. Submit: our designers will take it from there. Decorate your kid’s room with wall letters that have a message that matters!